Home Printer Troubleshooting (Fixed) How to fix EPSON WF-7011 printer all lights blinking problem? 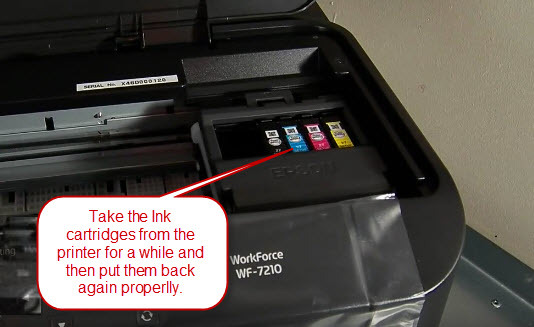 How to fix EPSON WF-7011 printer all lights blinking problem? Question: MY PRINTER EPSON WF-7011 WHEN STAR, ALL THE LIGHTS BLINK. I AM USING IT AFTER A LONG TIME. Answer: We recommend you some steps, please follow the below steps and let us know again if it doesn't fix. Step 1: Do power drain your printer. Step 2: Take all the ink cartridges from the printer for a while, and then put them back (re-install ink cartridges). 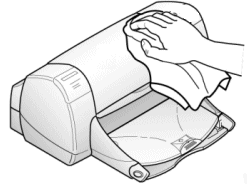 Step 3: Clean your printer from inside to remove all the dust from the printer. Step 4: Clean Light Sensor of your printer to sense properly. How to clean the light sensor. Answer: Yes, Maybe its ink pad has got damaged. Clean it or replace it if you found any problem in Inkpad. 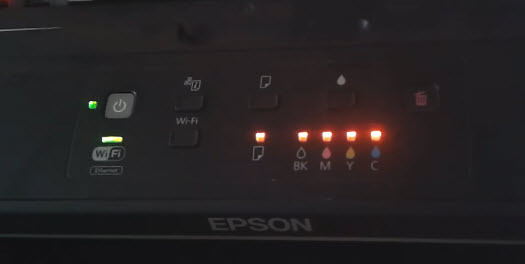 Why the Red Light is blinking on my Epson L220 printer? How can I fix it? (Printing Blurry) Epson L220 Print colour not good, the result is blurry. What is the problem? Previous articleCan’t find driver of HP Photosmart C 4680 for Windows 10 64-bit. The machine should be set up wirelessly.